きらめくメタリックな光沢を放つ、キュリアス。「好奇心= Curious」という名前で、2002年に誕生したこの紙には、人々を引き付ける不思議な魅力があります。「紙」という物質から広がる多様な価値を「生命」という根源的且つ本質的なコンセプトで表現したクリエイティブ "Paper is alive." 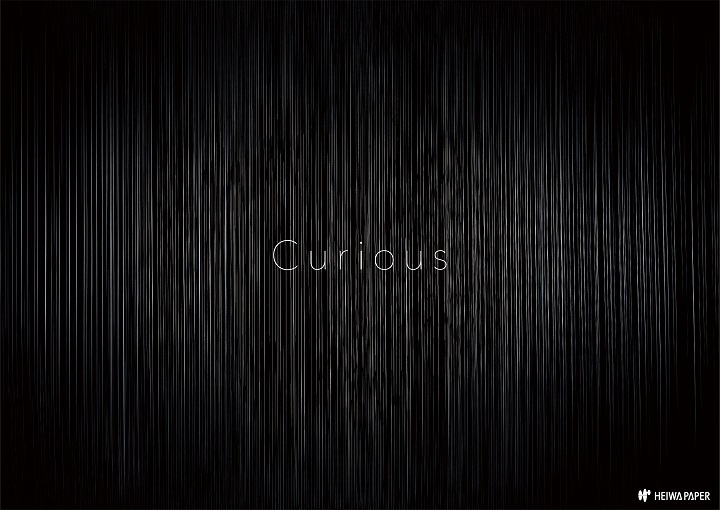 Glittering in metallic gloss, the paper is called "Curious". The material created in 2002 oozes irresistible and mysterious charm.An attempt to express diverse values deriving from a material called "paper", in combination with the essential and substantial concept of "life" has turned out as the creative work, "Paper is alive." 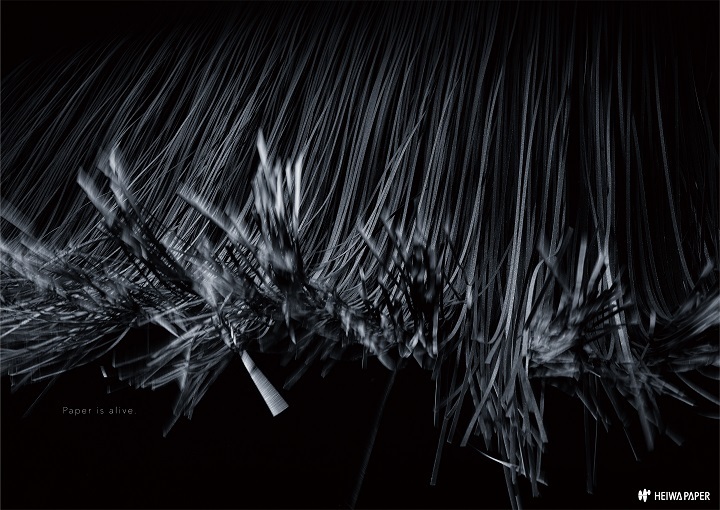 In the black space pregnant with meaning, Curious, shredded into hair-thin strips at 1mm in width, dances in the light and shadow. The mysterious movements occasionally turn bold but always remain beautiful, like a woman's black hair dancing in the wind.The visual images demonstrate vitality and infinite possibilities inherent in paper. Copyright（C）Heiwa Paper Co., Ltd.All rights reserved.